The Longfellow Family, Venice, 29 May 1869. A. Sorgato, photographer. 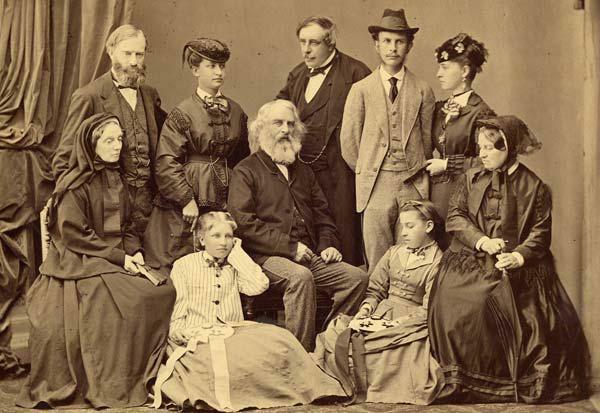 Harriet Spelman Longfellow is on the far right of the top row, standing next to her husband, Ernest Wadsworth Longfellow, the poet’s son. Harriet “Hattie” Spelman (1848 to 1937), a close friend of Alice Longfellow – Henry Wadsworth Longfellow’s daughter – was both a talented artist and a great beauty. 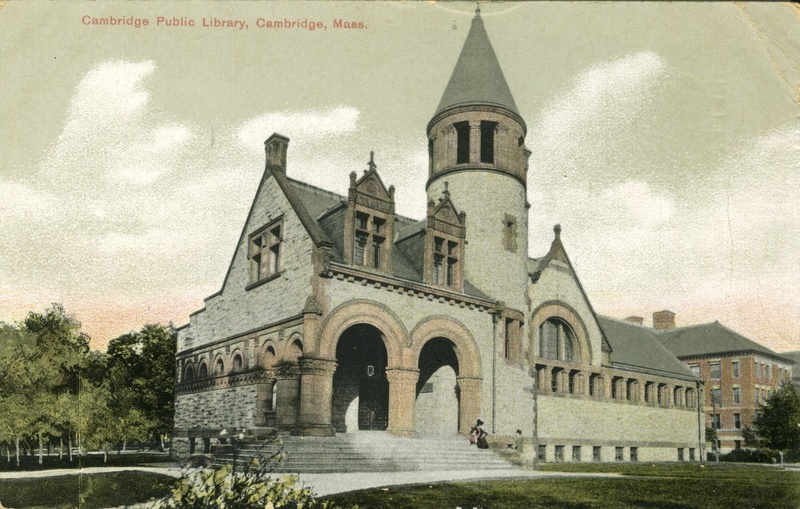 She was considered to be the “prettiest girl in Cambridge.” When Ernest Longfellow, Alice’s brother and an artist himself, returned from his winter studies in Paris in 1867, he proposed to Hattie. Ernest’s reputation was well known and was confirmed in an 1874 New Orleans Times article as “a slender, delicate young man, an artist of talent, great at ten-pins, and tip-top at gunning.” The dashing couple married on May 21, 1868 and honeymooned to Europe, accompanied by the Longfellow family. In 1871, Ernest and Hattie moved from Craigie House, what is today called the Longfellow House, into their newly built home across the street at 108 Brattle Street. Despite her great beauty, talent, and marriage into a prominent American family, Hattie suffered from psychological problems – perhaps depression – prompting visits to sanatoriums across the country. Harriet Spelman Longfellow’s letters and some examples of her artwork are included in the Ernest Wadsworth Longfellow Family Papers located at the Longfellow House – Washington’s Headquarters. To view the finding aid for the Longfellow Family, click here: http://www.nps.gov/long/historyculture/upload/HWLfamilyaidNMSCfinal.pdf. For more information on visiting the Longfellow House – Washington’s Headquarters, click here: http://www.nps.gov/long/index.htm. **Special thanks to Anita Israel, Archivist at the Longfellow House – Washington’s Headquarters for this post.